Core and plyometric training may reduce injury and enhance muscle function in some athletes, but the effects on recreational marathon runners are unknown. Thus, the purpose of this study was to compare the effects of plyometric or core training on injury, muscle damage, and training variables in marathon runners. This study was a randomized-controlled trial. 34 subjects, ages 18–23 (20.7 ± 1.3) following the same marathon training program, were allocated to one of three groups for a weekly training session: core, plyometric, or no additional training (control). Subjects kept a training log throughout training. Outcomes were assessed during the 8-week run-in (RI) and 13-week marathon training (MT) periods. 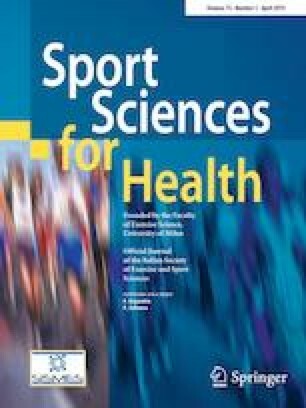 The plyometric and core training group subjects were assessed pre- and post-marathon for creatine kinase (CK), a marker of muscle damage. The plyometric group did not change in any training variables between RI and MT. The core group increased in days missed due to injury (p = 0.003) and rate of perceived exertion (RPE) (p = 0.028). The control group increased in RPE (p = 0.010) and soreness (p = 0.010). The plyometric group had lower pre-marathon CK levels than the core group (81 ± 36 vs. 136 ± 59 U/L; p = 0.042). During MT, the plyometric group missed fewer days of training (plyometric: 1.7 ± 2.9; core: 4.2 ± 5.1; control: 4.5 ± 4.8) and missed fewer days due to injury (plyometric: 1.2 ± 2.6; core: 2.7 ± 5.1, control; 4.1 ± 4.9) but the differences were not significant. A weekly plyometric training session may be superior to core or no additional training in improving training variables of recreational marathon runners. The online version of this article ( https://doi.org/10.1007/s11332-018-0506-6) contains supplementary material, which is available to authorized users. No external funding was used to support this research. This study and all procedures were in accordance with the ethical standards of the institution and with the 1964 Helsinki declaration and its later amendments or comparable ethical standards. It was approved by the Institutional Review Board at the University of Minnesota—Twin Cities. All participants provided written, informed consent after being informed about the protocol and purpose of the study.